Thank you, Chairman Coffman, Ranking Member Kuster, and Members of the Committee for today’s hearing and for this opportunity to appear before you. I’m Anthony Hardie, a 1991 Gulf War and Somalia veteran, and Director of Veterans for Common Sense. I’ve provided testimony on several previous occasions, but today is especially notable. 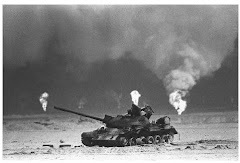 Twenty-five years ago tonight, we launched the ground war of Operation Desert Storm and successfully liberated Kuwait. Tonight, I would like us to remember and honor of the nearly 300 of our fellow Gulf War men and women who made the ultimate sacrifice. I would also like us to remember and honor the nearly 700,000 veterans of the Persian Gulf War, who under the direction of our military leaders led our broad international Coalition to decisive military victory. “Our” war was relatively short: just a five-month buildup, and then a six-week war before a swift military victory. However, you’ve heard my personal experiences before, and you’ve heard the stories of many other Gulf War veterans, and as this Committee knows, between one-fourth and one-third of us returned home with serious and debilitating health issues now known as Gulf War Illness. And, we faced a new battle, a much longer war – a war to obtain effective healthcare and VA assistance from entrenched government officials who seemed intent on proving there was nothing wrong with so many Gulf War veterans, that it was all in our heads, just stress, the same as after every war. It took almost eight years after the war before our major legislative victory, with the enactment of the Persian Gulf War Veterans Act of 1998 (Title XVI, PL 105-277) and the Veterans Programs Enhancement Act of 1998 (PL 105-368, Title I—“Provisions Relating to Veterans of Persian Gulf War and Future Conflicts”) – two landmark bills that set the framework for Gulf War veterans’ healthcare, research, and disability benefits. For those of us involved in fighting for the creation and enactment of these laws, they seemed clear and straightforward, with a comprehensive, statutorily-mandated plan that would guarantee research, treatments, appropriate benefits, and help ensure that lessons learned from our experiences would result in never again allowing what happened to us to happen to future generations of warriors. The legislation included a long list of known Gulf War exposures. VA was to presume our exposure to all of these, and then, with the assistance of the National Academy of Sciences (NAS), evaluate each exposure for associated adverse health outcomes in humans and animals. In turn, the VA Secretary would consider the reports by the NAS’s Institute of Medicine (IOM), “and all other sound medical and scientific information and analyses available,” and make determinations granting presumptive conditions. There was a new guarantee of VA health care. There would also be a new national center for the study of war-related illnesses and post-deployment health issues, which would conduct and promote research regarding their etiologies, diagnosis, treatment, and prevention and promote the development of appropriate health policies, including monitoring, medical recordkeeping, risk communication, and use of new technologies. There was to be an effective methodology for treatment development and evaluation, a medical education curriculum, and outreach to Gulf War veterans. Research findings were to be thoroughly publicized. To ensure the federal government’s proposed research studies, plans, and strategies stayed focused and on track, VA was to appoint a research advisory committee that included Gulf War veterans – presumably those who were ill and affected – and their representatives. Instead, we learned that enactment of those laws was just another battle in our long war. From the beginning, VA officials fought against implementing these laws, dragging their feet and upending their implementation. The creation of the “national center” never met Gulf War veterans’ expectations. The long list of toxic exposures never led to a single exposure-related presumption. Many of the exposures were never even considered, and those that were didn’t include evaluation of the health effects in laboratory animals with respect to likely health outcomes in ill Gulf War veterans. The research never led to effective, evidence-based treatments and indeed had little treatment focus until after Congress established a treatment-focused research program outside of VA.
And only after significant pressure and a change in Administrations did VA finally establish the research advisory committee (RAC) – more than three years after the statutorily mandated January 1, 1999 deadline. But, VA then systematically ignored its recommendations, and diminished its findings. When it sharpened its criticism of VA’s failures related to Gulf War veterans, VA staff led measures to substantially diminish its charter and discharge all of its members. As a last ditch effort to call attention to VA’s myriad failures of Gulf War veterans, I led Gulf War veterans’ resignations from the RAC in June 2013. Subsequently, the House unanimously passed legislation that would have restored and enhanced the research advisory committee and helped Gulf War veterans, for which we remain grateful. Unfortunately, the Senate failed to take action and the bill died in Congress. I served on the RAC for eight years and remain deeply impressed by the broad knowledge, demonstrated commitment, and impressive accomplishments aimed at solving Gulf War Illness of the scientists and doctors who served on and appeared before the panel. And, I remain proud of the work of dozens of researchers and Gulf War veteran stakeholders who came together to produce a comprehensive strategic plan aimed at solving Gulf War Illness, identifying other health conditions in Gulf War veterans, and helping achieve the laudable goals of the 1998 Gulf War legislation. Sadly for ill Gulf War veterans, nearly all of the provisions of that research strategic plan remain unimplemented, like so much of the rest of VA’s half steps in implementing and achieving the goals of the 1998 legislation. And in a 2013 hearing by this Committee, we learned from a top VA epidemiologist-turned-whistleblower many of the sordid details of officials within the VA’s Office of Public Health who failed to ask the right questions in research that would lead to showing the real post-deployment health outcomes for Gulf War and other veterans, and often obfuscated research findings when they showed results that might show significant health outcomes. Two weeks ago, the NAS’s Institute of Medicine (IOM) released its newest and supposedly final report in the extended, “Gulf War and Health,” series under VA contract as directed by the 1998 legislation. Entitled, “Gulf War and Health, Volume 10: Update of Health Effects of Serving in the Gulf War, 2016,” it is highly problematic. While IOM’s Volume 10 acknowledged that Gulf War illness is the signature adverse health outcome of the 1991 Gulf War – a fact that has been known by Gulf War veterans since the early 1990s and definitively shown by science since at least 2004 – its research and treatment recommendations range from disappointing to potentially damaging to the health and lives of Gulf War veterans with Gulf War Illness. 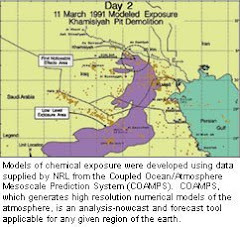 IOM’s Volume 10 recommends no further research using animal models of Gulf War toxic exposures (p. 251). While the IOM Volume 10 panel acknowledged that an animal model would be advantageous for identifying and evaluating Gulf War Illness treatment strategies, they then suggested that the precise frequency, duration, dose of Gulf War exposures must be known in order to do so. This amounts to "rolling up the sidewalk" on this promising avenue of Gulf War Illness research, just when it is beginning to unravel the underlying biological mechanisms of Gulf War illness and point to treatment targets. Past IOM review panels have been limited by VA’s systemic failures in monitoring, assessing, and reporting the incidence and prevalence of health symptoms and diagnosed diseases in Gulf War (and other cohorts of) veterans. The IOM Volume 10 panel was similarly limited. As one example, IOM’s Volume 10 report reads, “Because cancer incidence in the last 10 years has not been reported [by VA], additional follow-up is needed.” (p.102). IOM’s Volume 10 panel was tasked with reviewing published medical literature since the last major review six years ago, but due to one of VA's many failures couldn't do so because this new data hasn't been reported by VA. However, unlike the panel’s recommendation for additional follow-up with cancer incidence, IOM’s Volume 10 committee instead inflicted damage when they recommended that, “further studies to assess the increased incidence and prevalence of circulatory, hematologic, musculoskeletal, gastrointestinal, genitourinary, reproductive, endocrine and metabolic, respiratory, chronic skin, and mental health conditions due to deployment in the Gulf War should not be undertaken” (pp. 9-10). Unlike IOM panels that are limited by VA’s “don’t look, don’t find” failures, we must not mistake absence of VA evidence for evidence of absence of long histories of these adverse health outcomes in Gulf War veterans. Like the earlier IOM reports, the Volume 10 panel found no new associations between Gulf War exposures and adverse health outcomes. It also found no new associations between Gulf War service and ill health. The promising new science that is providing keys to Gulf War Illness’s underlying mechanism and promising avenues towards treatment hasn’t shifted course since 2010, it has just provided even greater evidence for the role of toxic exposures in Gulf War Illness and provided increasing detail in closing in on effective treatments. What has changed, however is that the IOM Volume 10 panel and reviewers included some of the same people and the same mindsets as the dark days of the 1990’s, when everything about Gulf War veterans’ exposures and symptoms was characterized as utterly unknowable, when Gulf War veterans’ health issues were marginalized, and when VA and DOD officials seemed intent on restricting Gulf War Illness discussions to “stress” causation and mental health management rather than focusing on evidence-based treatments for Gulf War veterans’ toxic wounds. Those VA and DOD officials denied Gulf War veterans’ toxic exposures, failed to develop treatments or preventions, redirected Gulf War veterans away from the goal of real healthcare, shut down research, and denied benefits. This new IOM recommendation amounts to little more than the same tired old themes from the 1990’s – again, just when Gulf War Illness treatment research is finally making real progress to understand the illness and identify treatments. As I walked through the airport headed home following the meeting where this latest IOM report was released, my shoulder was heavy with a bag full of past IOM Gulf War reports. My heart was even heavier. Twenty-five years after our war, and nearly two decades after the enactment of the 1998 laws, these IOM Gulf War reports nearly fill a small shelf. But despite millions of dollars and countless panel members’ work, the collective weight of these volumes have not associated animal exposures with human health outcomes, have found precious few health outcomes associated with Gulf War service, have not evaluated many of the exposures listed in the 1998 laws, and have added little toward the development of effective, evidence-based treatments for Gulf War Illness. Together, the IOM and its VA taskmaster have had little impact in improving the health or lives of Gulf War veterans with Gulf War Illness or achieving the goals set forth in the 1998 Gulf War legislation. As if the massive, multi-volume failure of Gulf War veterans wasn’t enough, VA and DoD have now developed a highly problematic Clinical Practice Guideline for Gulf War Illness that goes back to the darkest days of the 1990s. In this Guideline, VA and DOD lump Gulf War Illness together with psychosomatic and other conditions that together, its authors call, “Chronic Multisymptom Illness” (CMI). It is worth noting that CMI is an overly broad and inappropriate catch-all label that IOM panels have rightly told VA to stop using for Gulf War Illness. This Clinical Practice Guideline is intended for all healthcare providers – DOD, VA, and beyond. Its primary treatment recommendations for GWI are cognitive behavioral therapy (CBT), exercise, and psychotropic drugs. Suicidal ideation is listed in the Guide as a known “notable adverse effect” for every single one of those medications. Despite public statements by VA officials, including before this Committee, that Gulf War Illness is not a psychological, psychiatric, or psychosomatic condition, this VA-DoD guide specifically compares “CMI” with a group of, “similar ‘overlapping’ symptom syndromes” and “somatization disorder”. The terms “somatization disorder”, and use the terms “somatization”, “somatization disorder”, “somatoform”, and “somatoform disorder”, and “psychosomatic” a stunning 52 times in the guide. The term, “hypochondriasis” is also used and referenced. While the Clinical Practice Guideline authors use the term, “evidence-based”, 19 times throughout the document in an apparent attempt to increase its credibility, they go on to state, “treatment of CMI is as much an art as it is a science” (p.8). Showing its failure to rely on scientific evidence, a growing body of promising scientific research related to inflammatory cytokines, mitochondria and mitochondrial dysfunction (for example), including Coenzyme Q10 as a potential therapy. Yet, the term “cytokine” and variants appear only twice, and no reference whatsoever is made to mitochondria or word variants. It would seem hard to believe, given the large body of peer-reviewed science on Gulf War Illness that has been published in more recent years, that a DOD or VA clinical guideline produced in 2014 would rely on the old “psychosomatic” fictions of the 1990s or on the VA and DOD officials that championed them. What’s not surprising, however, is that the list of people who developed this guide that relies on psychosomatic artfulness rather than evidence-based treatments included some of the same old names from the dark days of the 1990s. This guide is another example of VA’s systemic research failures. From, “Don’t look, don’t find,” to a renewed reliance on psychosomatic explanations and “treatments” for Gulf War Illness, the intent of the 1998 laws remain out of reach at VA past and present. As many of the members of this Committee know, despite the serious problems noted above, there is a great deal of encouragement and hope for ill Gulf War veterans in the science being conducted and published in recent years. Much of this promising new research is in the treatment-focused Gulf War Illness Congressionally Directed Medical Research Program (CDMRP), which exists outside VA or the rest of DoD thanks to Congress, including many of the Members on this Committee. One-third of the studies funded through this program are testing treatments that might help improve the health and lives of veterans with GWI. Two-thirds of the studies are aimed at Gulf War Illness’s underlying mechanisms, including critically important animal studies that test exposures and measure health outcomes, identify treatment targets, and test treatments. Three CDMRP-funded treatment studies have already shown promise in reducing certain GWI symptoms, including Coenzyme Q10, Carnosine, and acupuncture. Others have found powerful links between Gulf War toxic exposures and adverse health outcomes and are helping pave the way for treatment development. The vast majority of this research is still in the pipeline. However, this powerfully encouraging progress could be at risk, by the IOM Volume 10 recommendations and by another IOM panel aimed at all the CDMRPs that is chaired and directed by some of the same former VA and DOD officials of the 1990s who have done so much harm to Gulf War veterans. If we measure VA’s success by how it has improved Gulf War veterans’ health twenty-five years after the war, VA still has no evidence-based treatments for Gulf War Illness. VA has circumvented or ignored most of the aims of the 1998 laws. Instead, some of those same old VA and DOD officials from the dark days of the 1990s have joined together in their usual old cabal and are once again pushing long-discredited theories of psychosomatic causation and “treatment” in new and potentially influential ways. In twenty-five years, VA has made little progress on Gulf War Illness, and now appears to be working to roll back the clock to the dark days of the 1990’s. § Instead of following recommendations on Gulf War Illness research that would lead to improving ill Gulf War veterans’ health and lives, VA eliminated the Research Advisory Committee’s (RAC) ability to evaluate the effectiveness of all federal Gulf War research efforts, limited its scope from all federal research to just VA’s, eliminated its treatment focus mandate, and more. § VA admitted to “losing” its registry for Gulf War spouses and children. It is unclear what VA has done to recover that data. § VA continues make reports to Congress that inflate “Gulf War research” spending by including studies that are not specific to Gulf War veterans. § VA has the authority to develop new presumptives for these ill and suffering veterans, but unlike with Agent Orange, has failed to identify any new conditions beyond a set of rare endemic infectious diseases that affect almost no one. § IOM’s latest report, shaped by VA’s contract, argues that individual Gulf War exposures are forever unknowable. We knew that when seeking the 1998 legislation, aimed at connecting generic exposure data with health outcomes. VA has stymied those efforts. § VA has not linked a single adverse health outcome to any Gulf War exposures nor created a single new presumptive condition under the 1998 laws to help suffering veterans beyond the largely irrelevant endemic infections noted earlier. Twenty-five years later, one-fourth to one-third of us Gulf War veterans continue to struggle with the health and life effects of Gulf War Illness. Others among us have died of ALS, brain cancer, other diseases, suicide. Yet VA, with the aid of DoD and the complicity of the IOM, has made little progress in developing evidence-based treatments or improving the health and lives of veterans suffering from signature injury of the 1991 Gulf War – Gulf War Illness. Twenty-five years later, ill Gulf War veterans are still in pain. They are suffering. They have been begging for help for years and years. Twenty-five years later, Gulf War veterans are battling against VA and DOD bureaucrats, including some of the very same ones who fought against the 1998 laws in the first place. We must not continue to allow VA and DoD to substitute “risk communication” for evidence-based healthcare, psychosomatic drugs for treatment-focused research, spin for substance, or “Don’t look, don’t find” for the objective collection, analysis, and reporting of deployment health outcomes. The letter, the spirit, and the intent of the 1998 Persian Gulf War laws have yet to be achieved. On this 25th anniversary of the war, our Gulf War veterans deserve the best that modern science and the U.S. government can offer to improve their health and lives. Mr. Chairman, as one of us Gulf War veterans, and Members of this powerful Committee, please join together with your colleagues on both sides of the aisle and in both houses and help fix these serious issues, once and for all.